Be responsible for players within both the S.W.P.L. squad and Under-19s National Performance squad. Oversee player movement between both squads for friendlies/cup & league games. Plan the training sessions for first team and under 19s. Be available to Media outlets for post and pre match interviews. 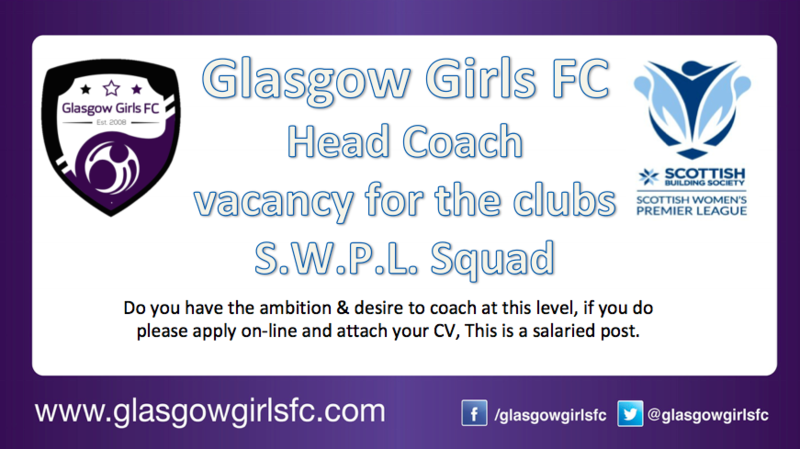 Have a knowledge of the Womens & Girls game in Scotland. Be responsible for talent i.d. and the signing of players for both squads. Either have an SFA “B” Licence or be working towards it.